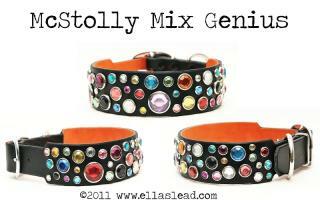 These McStolly Mix collars are made with acrylic decorations. 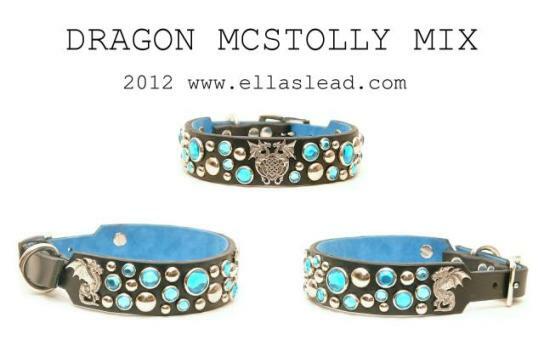 If you wish to have them made with crystals, you need to please email us at orders@ellaslead.com. Crystals are a cost upgrade, and McStolly Mix collars with crystals are custom and cannot be ordered directly from our site. Thank you! 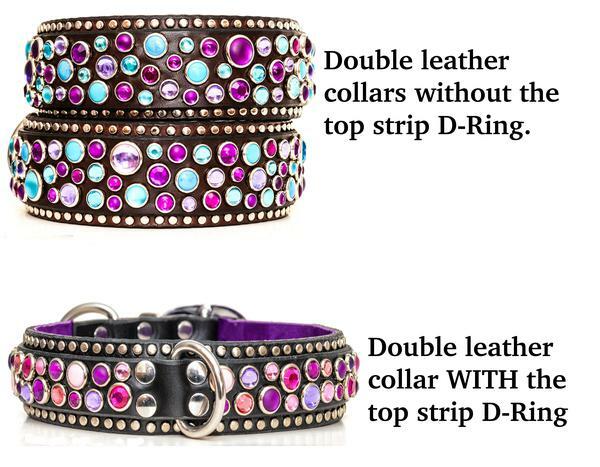 Also, for clarification, we give the option for a double leather collar with, or without, the top strip D-Ring. Here is a picture so you can see what both look like, so that you can be better informed, visually, as to your options when ordering. If you wish to have suede added to your collar, you can locate it here.